Let’s clear the misty Ahch-To air. So, the novelization for Star Wars: The Last Jedi, written by longstanding Star Wars author Jason Fry, has begun to leak online ahead of its March 6th release date. Not surprising; review copies and early proofs of books go out pretty early, compared to the actual release, so it’s perfectly predictable that some intrepid redditors and other online gossip mongers would get a hold of them. Ah, yes, one can see the confusion. Unsurprisingly, this has made the rounds on various culture blogs, tweets, and other avenues of fan speculation with the sensationalist conclusion that, oh, Luke had a wife?! What a revelation! Except, unfortunately for Mara Jade fans everywhere, that does not seem to be the case. Reading further in these threads about leaks will reveal that this opening prologue is a dream sequence: Luke’s imagining of what his life would have been like if he had resisted the call to adventure, turned the droids over to the Imperials, and lived out his life in peace. 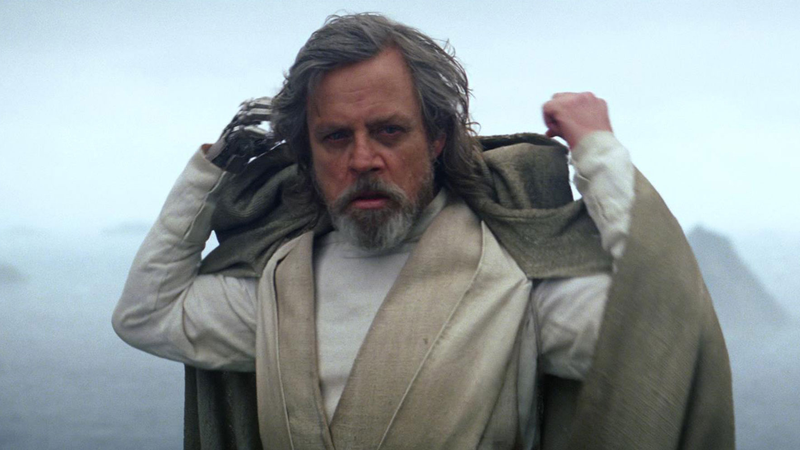 Now, of course, this doesn’t necessarily mean that Luke never had a wife, or a love interest, or anything of that sort in the twenty-five years between Return of the Jedi and The Force Awakens. But if he did, the novelization sure doesn’t mention it. As for this rumor, it’s a lesson that, sometimes, it’s actually a good idea to read the comments.